STMicroelectronics has added two new lines to its STM32 MCU family, the STM32F7x0 and H7x0 Value Line. The MCUs are aimed at enabling system designers to create affordable performance-oriented systems including real-time IoT devices, without compromising features or cyber protection. These new lines trim embedded flash to the essential, still allowing secure boot, sensitive code and real-time routines to run safely on-chip, leveraging access times over 25 times faster than for external Flash (for cache miss). If needed, applications can scale-up either by adding off-chip serial or parallel (up to 32-bit) memories and leveraging the MCUs’ broad external interfaces and eXecute in Place (XiP) capability, or by porting to other pin-to-pin compatible STM32F7 or STM32H7 MCU lines, with up to 2 MB Flash and up to 1 MB RAM, supported by the same ecosystem with the same easy-to-use tools. 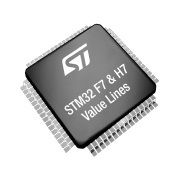 The Value Lines retain powerful STM32F7 and H7 features, such as the state-of-the-art peripherals, hardware accelerators, and the real-time architecture with ultra-fast internal buses, short interrupt latency, and fast (approximately 1 ms) boot-up. The MCUs are also energy efficient, with flexible power modes, gated power domains, and on-chip power management that simplify design and reduce BOM cost. With execution performance up to 2020 CoreMark at the heart of a secure and power-efficient architecture, the new Value Line devices are the entry point to IoT innovation in medical, industrial, and consumer applications. CoreMark is the EEMBC standardized benchmark for embedded-CPU performance. With up to 125°C as the maximum junction temperature, developers can leverage the full core and peripherals performance even when ambient temperature increases. The entry-level STM32F730 delivers 1082 CoreMark performance running at 216MHz aided by ST’s unique ART Accelerator for zero-wait-state execution from Flash. Features include cryptographic hardware acceleration, a USB 2.0 High Speed port with PHY, and a CAN interface. There is a 64Kbyte Flash, 8KByte Instruction and data caches for high-performance execution from internal or external memories, 256KB of system RAM and 16 KB plus 64 KB of Tightly Coupled Memory (TCM) for the most critical routines and data. The STM32F750 adds a TFT-LCD controller with ST’s proprietary Chrom-ART Graphics Accelerator. It has hardware acceleration for hash algorithms, two CAN interfaces, an Ethernet MAC, camera interface, and two USB 2.0 interfaces with Full Speed PHY. There are 64Kbytes of Flash, 4Kbyte instruction and 4 KB data caches, 320 KB of system RAM and 16 KB plus 64 KB TCM. The high-end STM32H750 delivers 2020 CoreMark performance at 400 MHz and adds a hardware JPEG coder/decoder to the TFT controller and Chrom-ART Accelerator for even faster GUI performance. There is also a CANFD port and additional CANFD with time-trigger capability and best-in-class operational amplifiers and 16-bit ADCs running at up to 3.6 Msample/s. The 128 KB flash, 16 KB instruction and data caches, 864 KB system RAM and the 64 KB+128 KB of TCM all feature ECC (Error Correction Code) for safe execution from internal or external memory. The STM32F730, STM32F750, and STM32H750 Value Line MCUs are in production, in various LQFP and BGA package options from 64-pin to 240-pin. Prices start from $1.64 for the STM32F730, $2.39 for the STM32F750 and $2.69 for the STM32H750 for orders of 1,000 pieces. 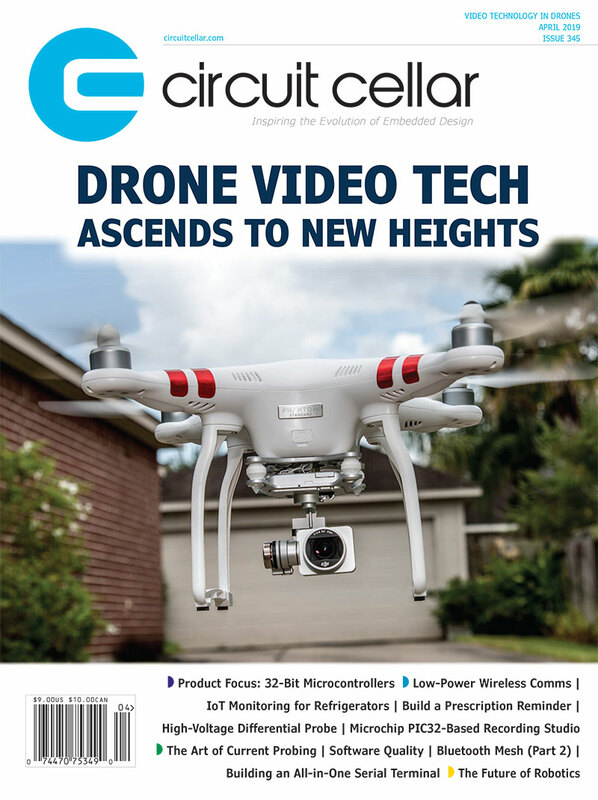 This entry was posted in Industry & Enterprise, Product News and tagged benchmarks, cryptography, flash, IoT, MCU, microcontrollers, TFT-LCD by Circuit Cellar Staff.